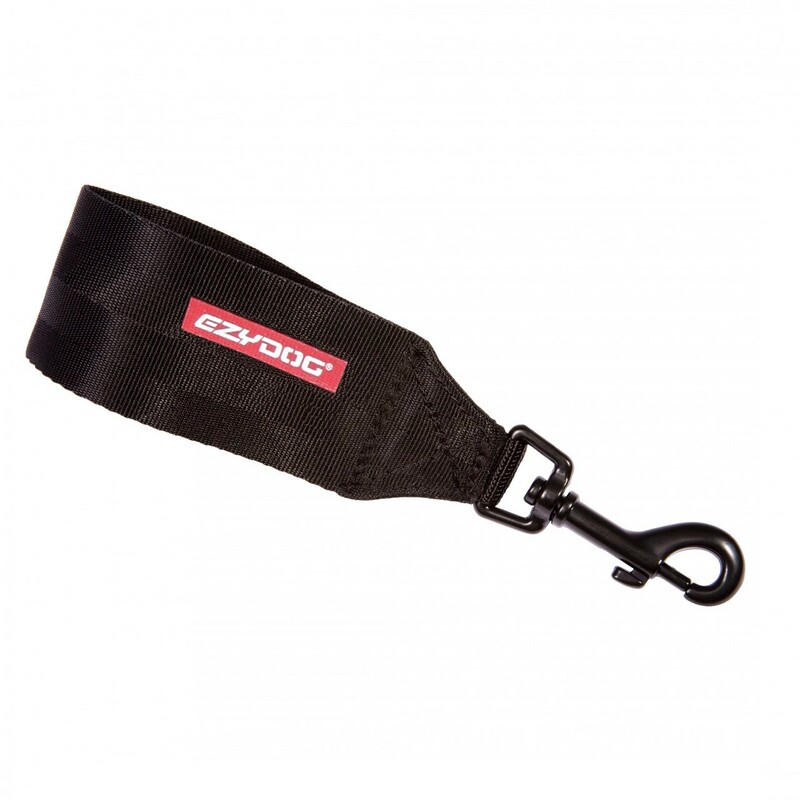 This strap attachment can be used with the Ezydog Quick Fit Harness to attach the harness to a car seatbelt. Simply attach the strap to the seatbelt then clip it on to your dog's harness. When you arrive at your destination unclip the strap from the harness and clip on your lead instead. Note: the Ezydog Chest Plate harness includes this attachment. The Quick Fit harness does not. I bought this along with the Ezydog Quick-Fit harness. I've used it once only. Whilst I have no particular complaints with it, I quickly realised that it's quicker, easier AND more secure to put the seatbelt straight through the harness loop and not bother with this extra bit. I'm not sure what this attachment offers.